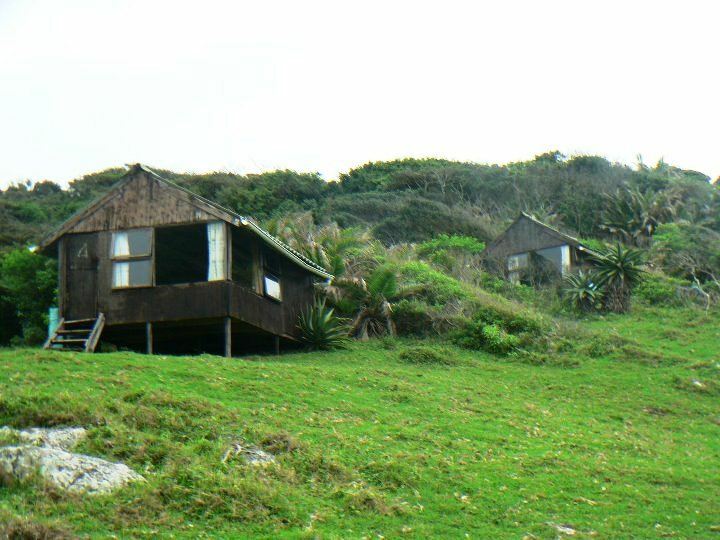 Sharks Point offers rustic self-catering accommodation in an unspoilt paradise off the beaten track. Not for everybody but for the nature lover, outdoor person that is happy with the very basic and rustic roof over your head that will keep you dry when it rains. If that is what you are looking for then you have come to the right place. 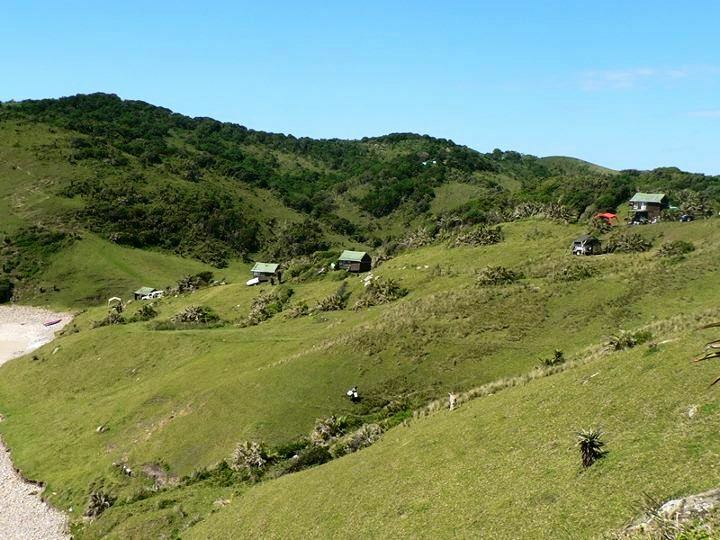 The Wild Coast coastline offers some of the most spectacular scenic destinations on the South African coastline, and Sharks Point is located in the heart of Pondo Land. 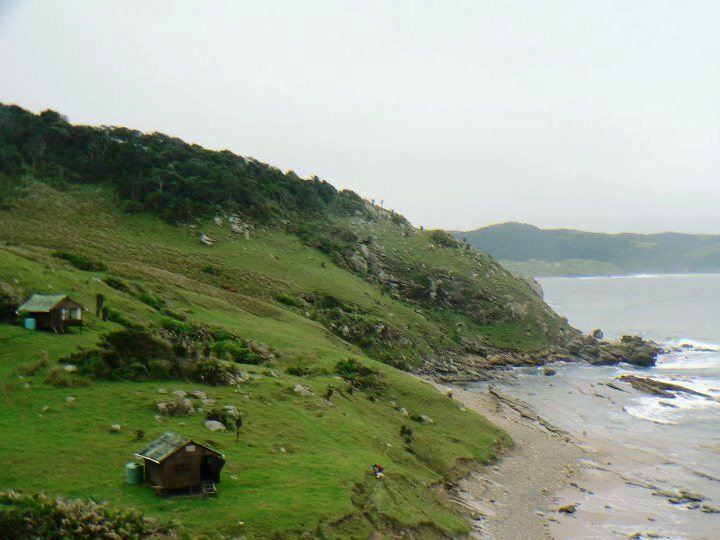 All cabins with sea view. Sharks Point is the ideal destination to just sit down and relax, or for the more sporty inclined it also offers some great rock and surf fishing, kayak fishing, mountain biking and much more. 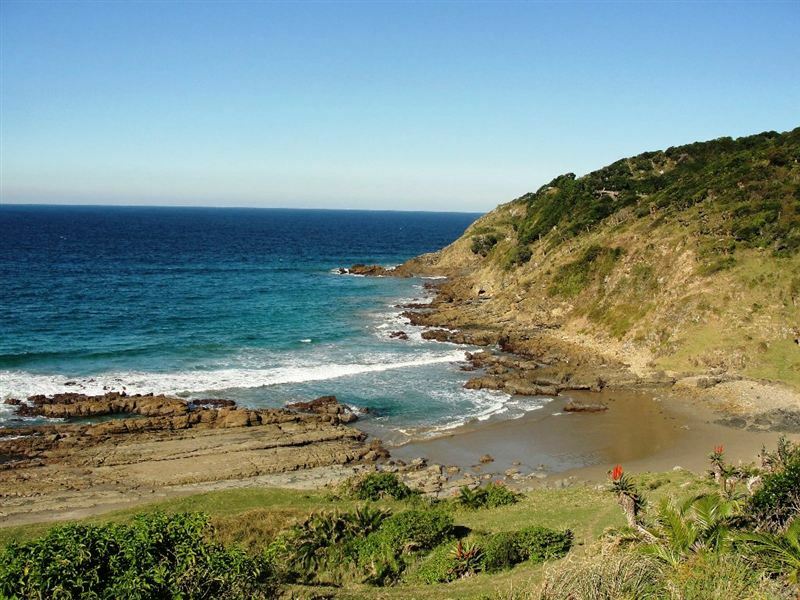 Sharks Point is located approximately 25 km south of Port St Johns, as the crow flies. 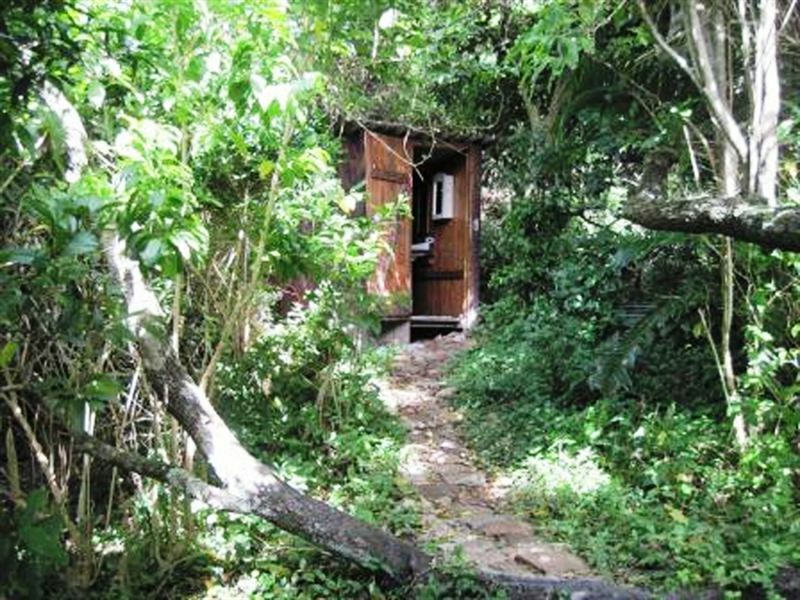 Accommodation is offered in ten rustic wooden Wendy houses, each containing a double bed and a fold-out couch that can be used as a double bed. 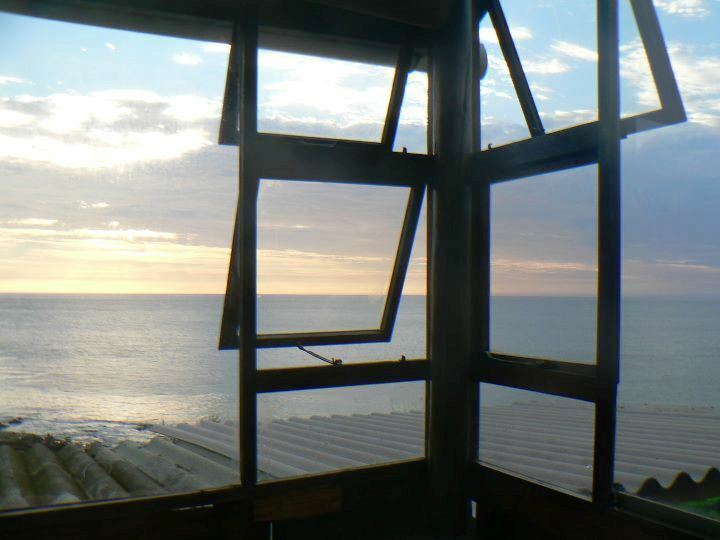 The cabins have incredible views of the beachfront. Electricity only in the communal kitchen. There are also three non-electrified campsites that can accommodate both tents and 4x4 trailers. 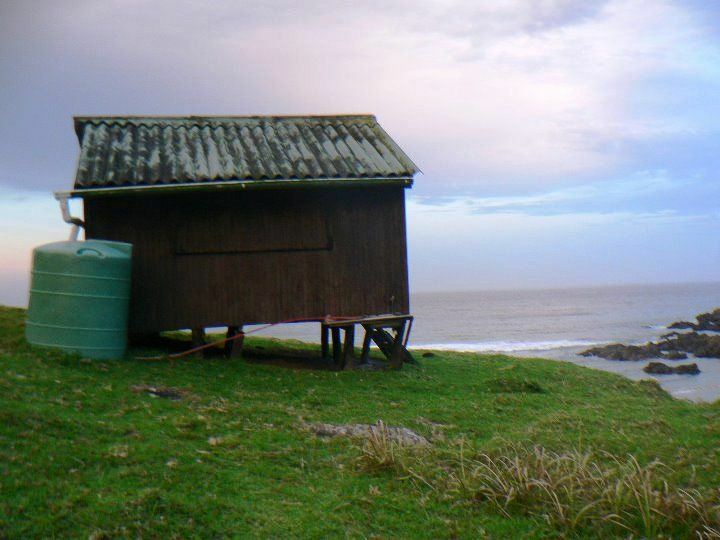 The communal ablutions have hot water supplied by a donkey, or you can heat up a jerry can and enjoy a bush shower. 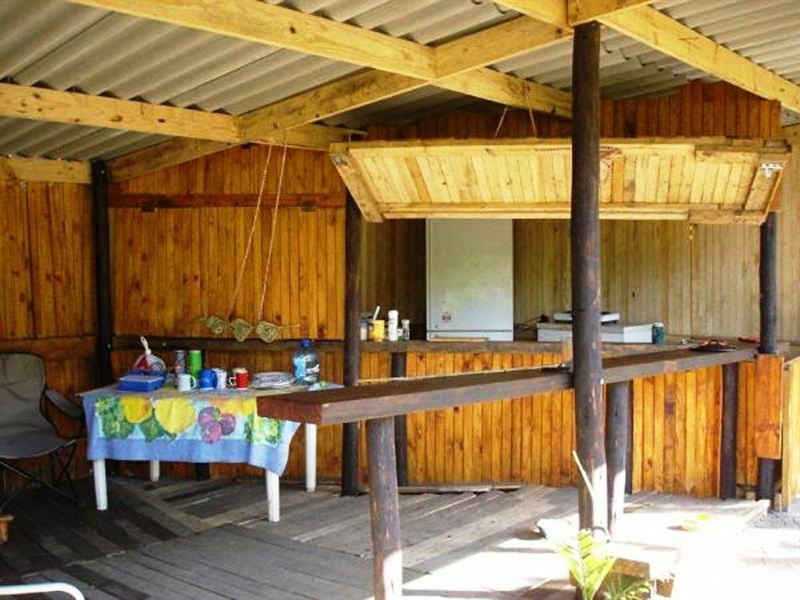 The communal kitchen is equipped with basic utensils, pots and pans, electricity, fridge and freezer, cutlery, crockery and braai facilities.Activities include fishing, kayaking, mountain biking, motor biking, quad biking, swimming, whale and dolphin watching, spear fishing, 4x4 trails, snorkelling, kite surfing and hiking. "We enjoyed our stay. It was amazing to be away from city life and we were able to enjoy ourselves as a family alone. The staff were friendly and very helpful." "I would like a refund please. The place is uninhabitable. It is too Ferral for a Ferral. Furthermore it was wet and no warning was provided that you cannot get down to the cabins when wet. 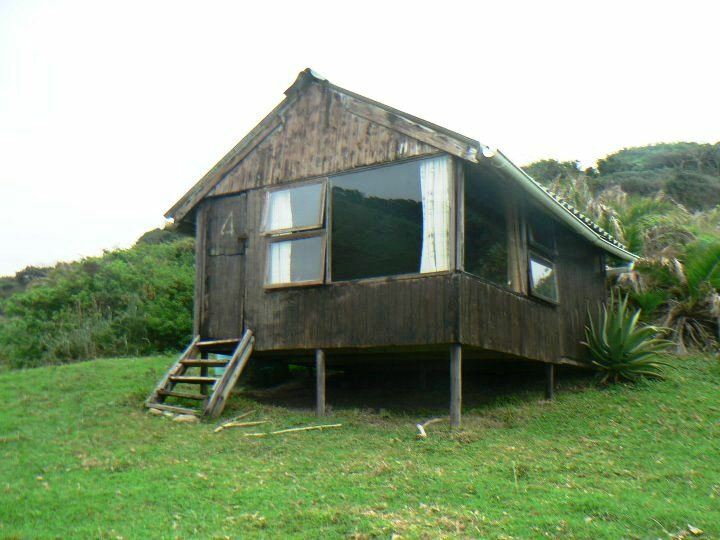 We had a terrible experience trying to get back up the hill after we checked out the condition of the accommodation. And we only went hslfway down. We stayed at The Kraal backbackers instead. Please refund me my R400 and take this excuse for accommodation off your site. Thanks Stuart." "Very basic accommodation. Although clean it needs a little bit of TLC. People friendly and helpful.Beautiful view, seen dolphins everyday." "Cabins are very, very rustic. The roofs leaked when it rained and the wooden floors threaten to break due to rot. The windows couldn&apos;t open or those open couldn&apos;t close and the door didn&apos;t close properly. The steps for entering the cabin are in a terrible state of repair and are life threatening. (Cabins are elevated from the ground)Something should be done before serious injury is caused. The local population are very friendly and they respected your privacy as a guests. The servants were also very friendly and helpful and they always turned up in time for work and when the lady worker fell ill she sent a replacement which we appreciated very much. They were very much willing to guard our possessions when we were hiking,and we never ever feared that something would be missing whilst away. Even when we unintentionally returned late."